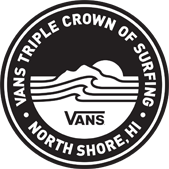 John Florence claimed his 3rd Vans Triple Crown of Surfing in 2016. John John Florence, 22, has been raised on the 7 mile miracle of Hawaii's North Shore since birth and was destined to become a Vans Triple Crown of Surfing Champion. In 2005, at the age of 13, he became the youngest surfer to ever compete in the Triple Crown. Just 6 years later, in 2011, he became the youngest surfer to ever win it. A final against lifelong hero Kelly Slater at the Pipe Masters last year, coupled with a semi-final finish at Sunset, gave him his second Vans Triple Crown title. In 2016 John won the WSL World Title along with the Eddie and rounded off the year with his third Vans Triple Crown of Surfing title. 2014 WSL World Champion Gabriel Medina added another feather to his cap by claiming the 2015 Vans Triple Crown of Surfing. He came with mission to win the title and realised that dream by defeating three time world champion Mick Fanning (AUS) in the Billabong Pipe Masters Semifinals. Australian Julian Wilson clinched his maiden Vans Triple Crown with an historic battle in the final against world champion-elect Gabriel Medina. Wilson posted a near-perfect 19.63 out of 20, versus Medina’s 19.2 points to take the win. He also reached the final of the Hawaiian Pro at Haleiwa, placing second behind Maui's Dusty Payne. A solid 13th place at Sunset rounded out a Triple Crown season that will be a longstanding highlight of Julian's career. Kauai's Sebastian "Seabass" Zietz had nothing less than a dream run in the 2013 Vans Triple Crown of Surfing. After an average year on the WQS, the Hawaiian surfer saw everything come together, as he finished 1st in the Reef Hawaiian Pro, 2nd place in the Vans World Cup of Surfing and 5th in the Billabong Pipe Masters. That combination granted him the coveted Triple Crown title and a spot on this year's ASP World Championship Tour. Not too shabby. Joel “Parko” Parkinson won his second consecutive Vans Triple Crown of Surfing title last year in the midst of one of the heaviest ASP World Championship duels. Although he narrowly lost the world title to Mick Fanning at the Billabong Pipe Masters, Parkinson still managed to win the $50,000 Triple threat bonus and the 2009 Triple Crown title. His consistency and smooth approach at all three venues of the Triple Crown is legendary. In 2008, Parko didn’t win any of the Triple Crown events, but his performance at Pipeline that year was inspiring. At the 2008 Billabong Pipe Masters, Parkinson earned a perfect heat, garnering two 10-point rides from mind-blowing Backdoor barrels. Parko is the second surfer in modern history to receive a 20 out a possible 20 points in a man-on-man heat. The only other surfer to accomplish this feat is Kelly Slater. Bede Durbidge is proof that a Triple Crown Championship will change your public perception forever. In the early part of 2007, Durbidge was known as dark horse competitor to the media, critics and fellow competitors. To those not so in the surfing know, he was known as “who?” After winning the 25th Annual Triple Crown of Surfing, Bede is no longer a spoiler. Now, he’s a contender in all conditions. Durbidge’s runner-up finish at the Reef Hawaiian Pro proved he could handle himself in big, chunky surf. 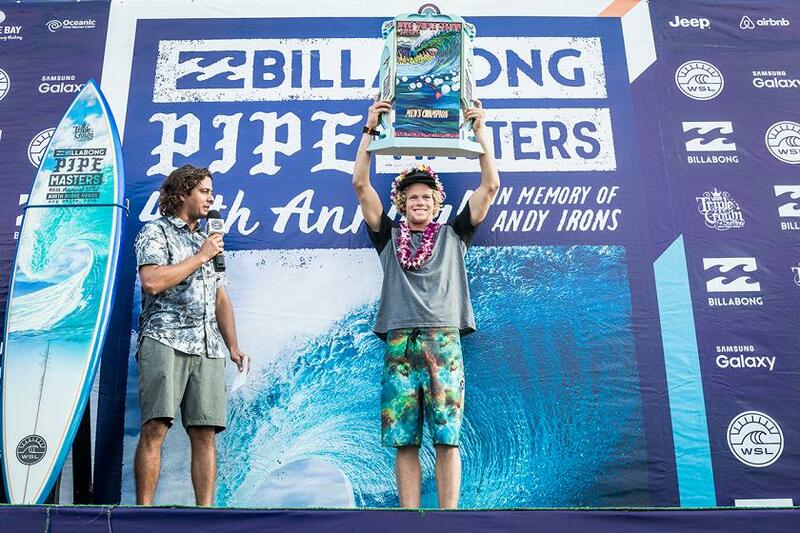 And his Billabong Pipe Masters win in uncharacteristic beach-break conditions demonstrated his small wave versatility. Kauaian Andy Irons was born and raised to dominate the Vans Triple Crown of Surfing. AI tops the list of most Triple Crown prize money won cumulatively with $271,725, and has the single season prize money record with $59,000, which he won in 2006. Irons tied with Sunny Garcia for most Triple Crown event wins, seven total (four at Pipe, one at Sunset and two at Haleiwa). Furthermore, Andy and Derek Ho are the only two surfers to win at all three venues of the Triple Crown. In addition, Andy’s battles with Slater at the Pipe Masters are epic, legendary duels that give us chicken skin whenever mentioned. In 2001, Myles Padaca helped put Hawaii Island on the map by winning the Vans Triple Crown of Surfing. During that winter season Padaca’s competitive surfing was hotter than Madame Pele’s kiss. The regular foot made the finals of the Hawaiian Pro at Haleiwa, then followed it up with a win at Sunset. Before the 2001 Pipe Masters could finish, Padaca was already awarded the Vans Triple Crown of Surfing Championship. Nowadays, there is a huge crop of talented groms coming out of the Big Island, all wanting to follow in Padaca’s footsteps as a Vans Triple Crown of Surfing Champion. Generation has never won a Triple Crown event at Haleiwa or Sunset Beach. This fact may be irrelevant, though, when you consider that Slater has won more Pipe Masters titles than any other surfer. In addition, Kelly was the first surfer to pull off the ASP World Tour hat trick by winning the ASP World Championship, Triple Crown of Surfing Championship and the Pipe Masters in one fell swoop. Kelly’s ongoing duel with Andy Irons since returning to the World Tour have been the greatest rivalry surfing has ever known. And, when Slater and Irons paddle battle one another at Pipe, the rest of us watch intently. Michael Rommelse spent a decade on the ASP World Tour, but up until 1997 he had never won a major event. Everything changed for him at Sunset Beach that year when he won the World Cup of Surfing. From there, Mike rode the momentum and finished 9th at the Pipe Masters. With his 5th place at Haleiwa earlier that winter, he accumulated enough points to solidify the 1997 Men’s Triple Crown of Surfing title, allowing him to retire from the tour on a high note and permanently etch his name in the hallowed walls of Triple Crown history. In 1996, at the Hawaiian Pro held at Haleiwa, Kaua‘i’s Kaipo Jaquias claimed he was after the Vans Triple Crown of Surfing title. After winning at Haleiwa and placing well at Sunset and Pipe, Jaquias’ claim became a reality for the history books. In the process, Kaipo became the first surfer from a neighbor island to win the Vans Triple Crown of Surfing, setting a precedence for Kauaian Andy Irons to follow. Sunny Garcia has won more Vans Triple Crown of Surfing Championships than any other surfer. Furthermore, the Hawaiian Lion was the first person to win three consecutive Triple Crown titles. Although the 2000 World Champion has appeared in final heats at every Triple Crown venue, and has won multiple times at Haleiwa and Sunset, he has yet to win the Billabong Pipe Masters. Sunny came close to winning at Pipe in 1992, but was sent to the hospital twice that event. 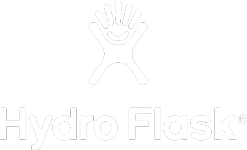 On the first trip he was treated for a torn muscle in his left forearm after a bad wipeout in his quarterfinal heat. He made it back to the beach in time to advance out of the semis and into the final. Half way into the final, he hit the reef head first and was rushed to hospital again for a concussion.  Sunny would finish runner up at the Pipe Masters after Kelly Slater found his way into a small barrel in the last two minutes of the final. As a two-time ASP World Tour Champion, Tom Carroll became the second Australian to win the Triple Crown of Surfing Championship in 1991. That same year, Tom completed “The Snap Heard Around The World” at the Pipe Masters. While most goofy foots stylishly pulled into the barrel at Pipe, Carroll took a different approach by performing a giant snapping top turn under the hook of a double-overhead Pipeline beast. Since then, no other surfer or single maneuver has stuck out like Tom Carroll’s snap. Gary Elkerton grew up surfing in Mooloolaba, Queensland, Australia. A flamboyant and colorful “Aussie” known for his fearless and aggressive surfing, Elekerton earned the nickname “Kong.” In 1987, the regular foot won back-to-back at the Hard Rock Café World Cup and Billabong Pro, both held at Sunset Beach. His performance on Sunset’s demanding, shifty peaks is legendary. Furthermore, Elkerton set the standard for aspiring Aussie professionals as the first Down Under dude to win the illustrious Triple Crown title. When Hawaii’s Michael Ho won the newly created Vans Triple Crown title for the first time 26 years ago, he was already famous. Michael has surfed around the globe and is known for his fearless approach to big surf. In fact, he won the Pipe Masters with a broken arm one year. Now a veteran surfer, Ho continues to impress the younger generation with his big wave skills. In 1997, at age 40, Ho again made it into the Pipe Masters finals, placing second to Johnny Boy Gomes. To this day, whenever Pipeline is going off, Michael Ho is still on it.